Texas Love Wedding Cocktail Napkins | Heart Texas Party Personalized Napkins With Couples Names Or Other Text. Cocktail napkin shown is an example and available to personalize. Production Time: 3 business days after your purchase. Massachusetts Love Wedding Cocktail Napkins, Personalized Massachusetts Napkins With Couples Names Or Other Text. North Carolina Wedding Cocktail Napkins, Personalized Napkins With Couples Names Or Other Text. 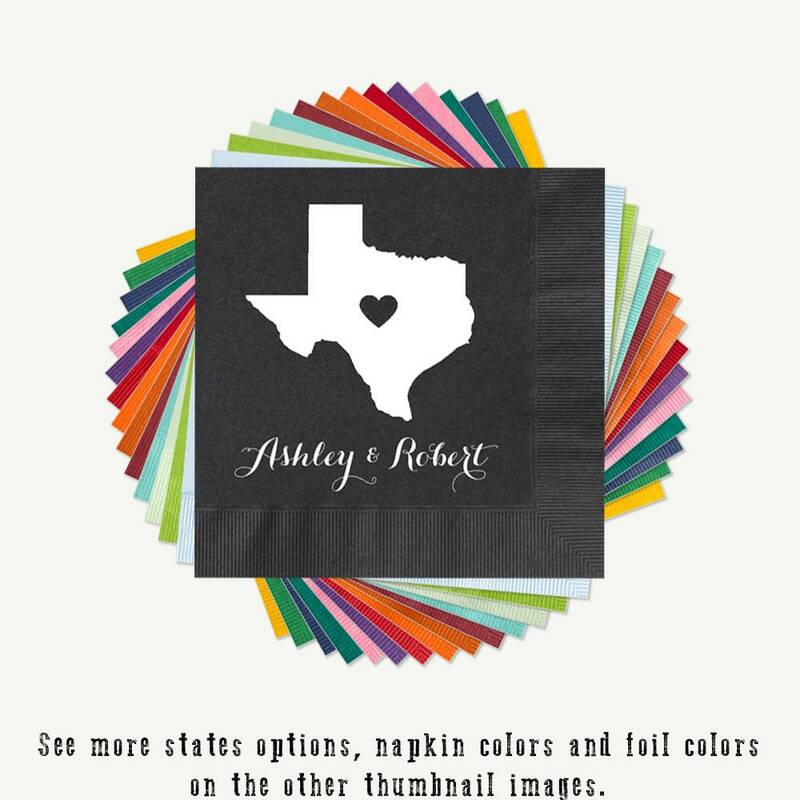 Alabama Wedding Cocktail Napkins | Heart Alabama Party Personalized Napkins With Couples Names Or Other Text.